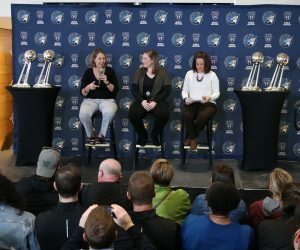 Maya Moore could be with the Lynx sooner rather than later. 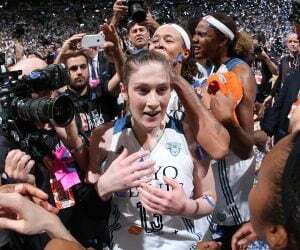 On Wednesday, her Russian team, UMMC Ekaterinburg, beat Dynamo Kursk 94-91 to win the Russian Women’s Premier League Championship. Dynamo Kurst is the same team Ekaterinburg beat in the finals of the EuroLeague Final Four in April. Moore played very well in the final game, finishing with 26 points and 10 assists on 7-13 shooting from the field and 10-10 from the line. Fellow WNBA star Brittney Griner led the team with 35 points. 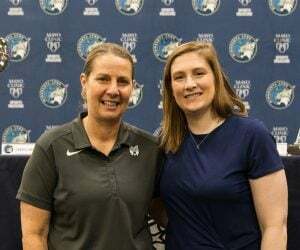 Though Ekaterinburg’s series sweep means Moore can return to the states soon, Lynx coach Cheryl Reeve said on Sunday that she expects Moore to take a few days off before returning to practice. 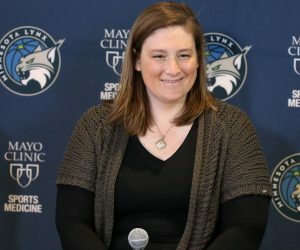 Given her veteran status and knowledge of the team, it’s more important to have Moore rested and ready to go for the season than being present for every day of training camp. 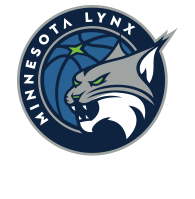 Assistant coach James Wade, who is also an assistant coach for Ekaterinburg, will be back in Minnesota tomorrow.